Your search to get a top quality reconditioned Vauxhall Corsa engine at the cheapest online rates ends here, enter your Vauxhall Corsa reg number to view recon engine price for your Vauxhall Corsa and enjoy the freedom from engine problems a remanufactured engine gives you. 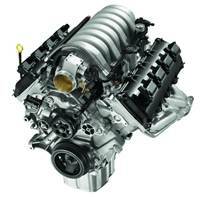 What is a Remanufactured/Recon engine? Remanufactured engines do not mean defected engines. Each and every element is inspected and examined separately, and any part that falls below a set standard is replaced with a new one. All parts that are normally subjected to wear and tear are also replaced such as new liners and new piston rings, new bearings and polished crankshaft and a new head gasket. All our reconditioned Vauxhall Corsa engines come with standard warranty and we deliver anywhere in the UK. We update our stock daily, therefore we are able to supply a reliable remanufactured Vauxhall Corsa engine without wasting your precious time. Our state of the art garage offers efficient engine fitting services so that you don’t have to go through any hassle, just sit back and let us handle all your engine failure stress.